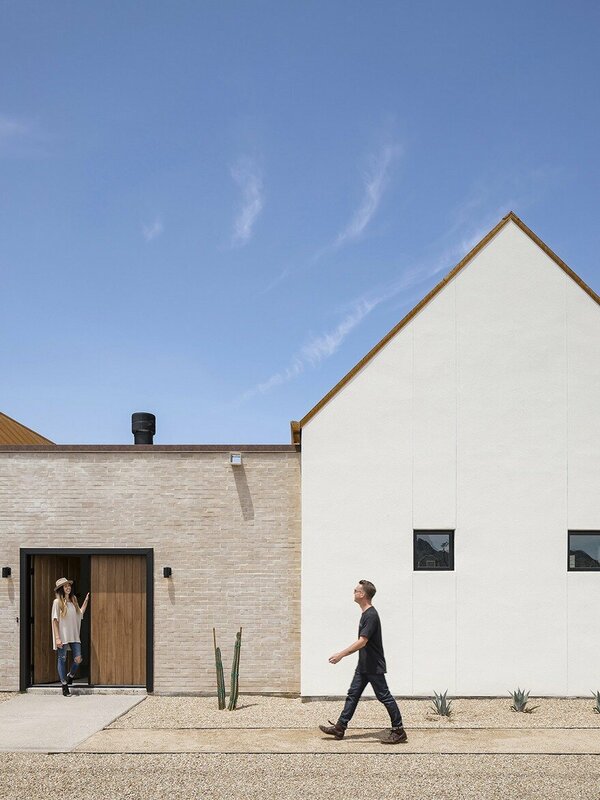 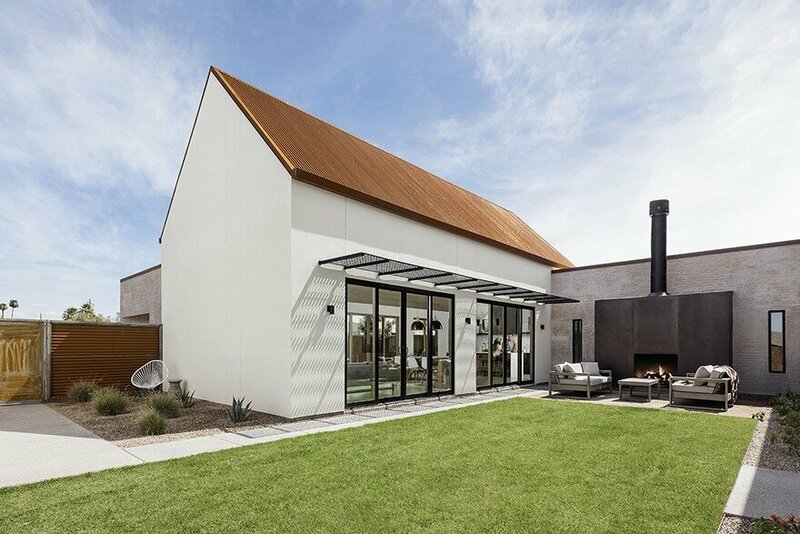 Canal House is a new build home inspired by the forms of the missions in southern Arizona on a left over, irregularly shaped vacant lot along the Arizona Canal. 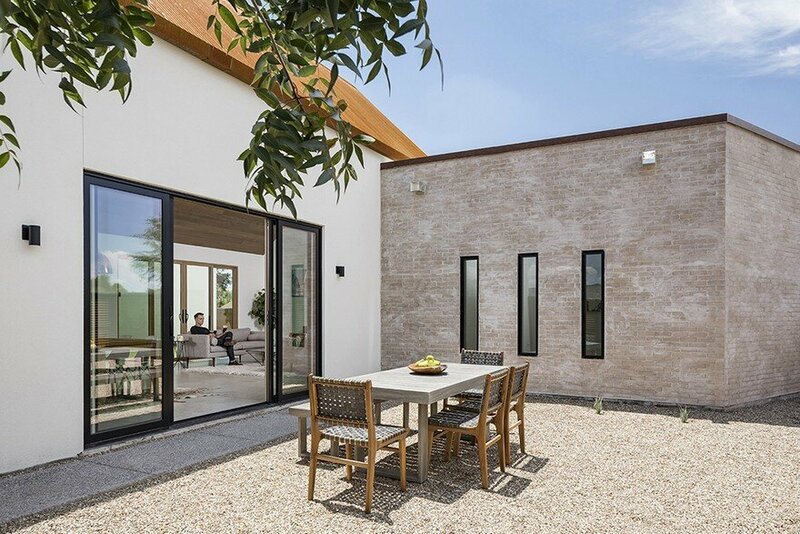 The house opens out from the interior spaces to courtyards shaded by the geometry and layout of the design that provide additional living areas at different times of day. 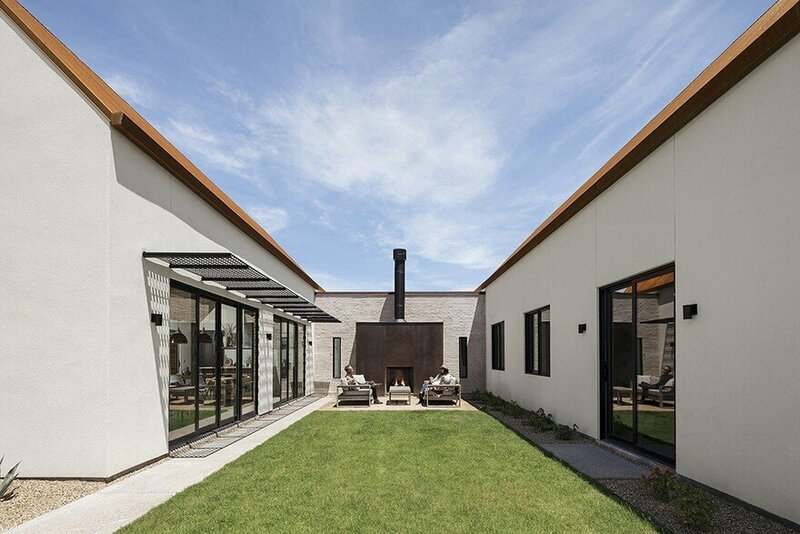 The most often shaded area is the dining courtyard along the canal off of the kitchen, with two new Red Push Pistache trees that transition from green to bright red leaves to signal the coming of the cool seasons in Phoenix. 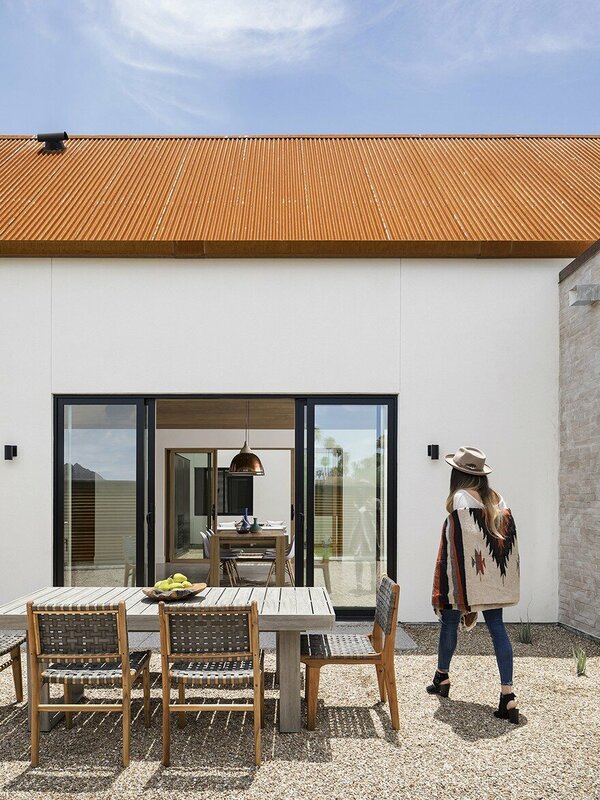 The central courtyard is anchored by a rusted steel clad outdoor fireplace that separates the living wing of the house from the sleeping wing. 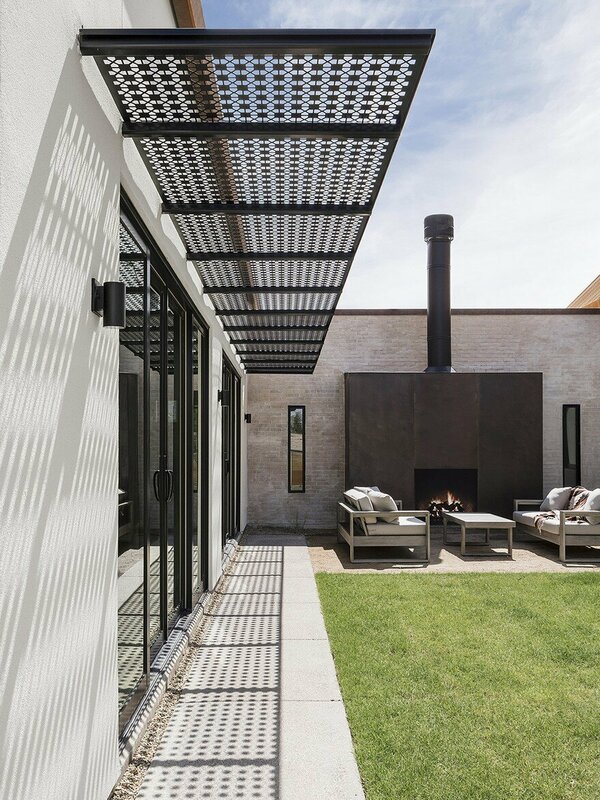 Custom designed steel panels shade the great room doors in the summer with a pattern of the archetypal house form that features prominently on the Canal House elevations. 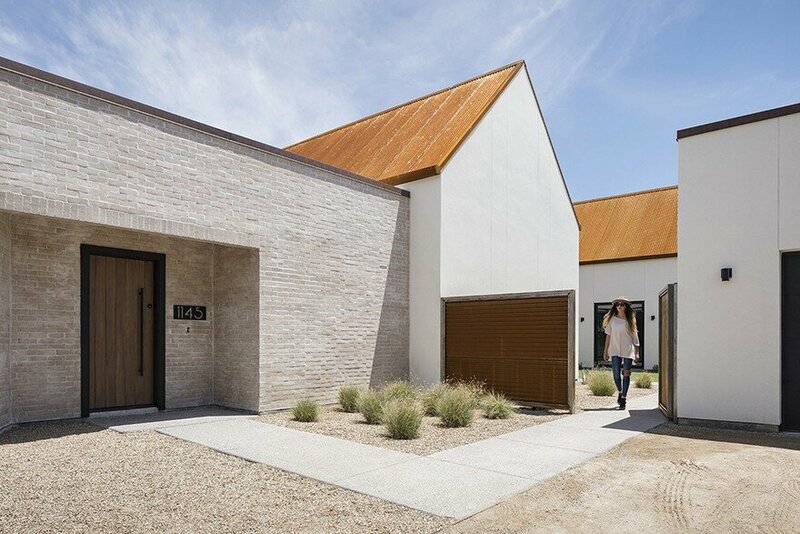 Lastly, an entry courtyard provides a quiet, contemplative area between the house and the garage. 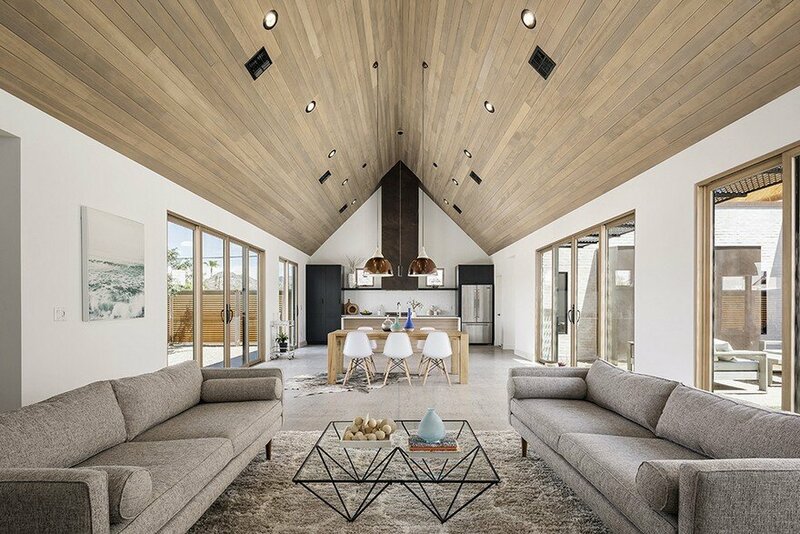 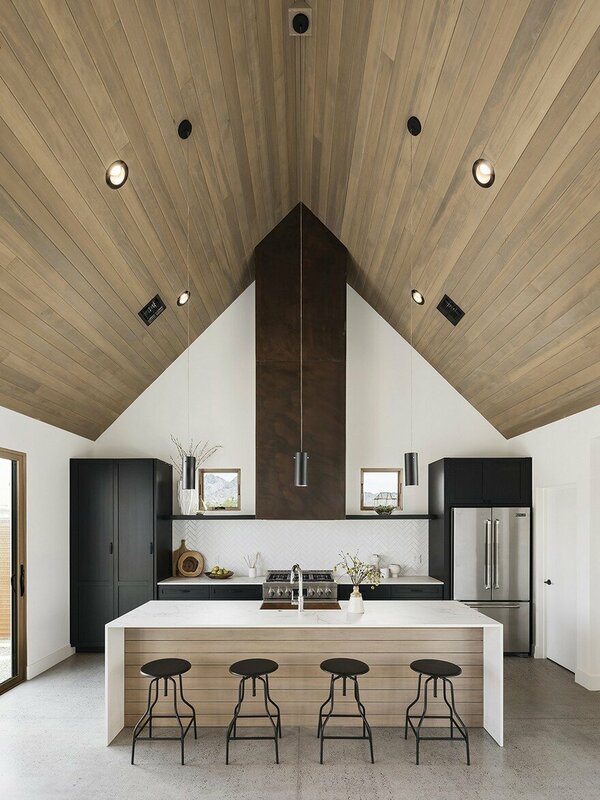 On the interior of the house, a rusted steel clad hood draws the eye up to the vaulted, tongue and groove hemlock ceiling in the great room. 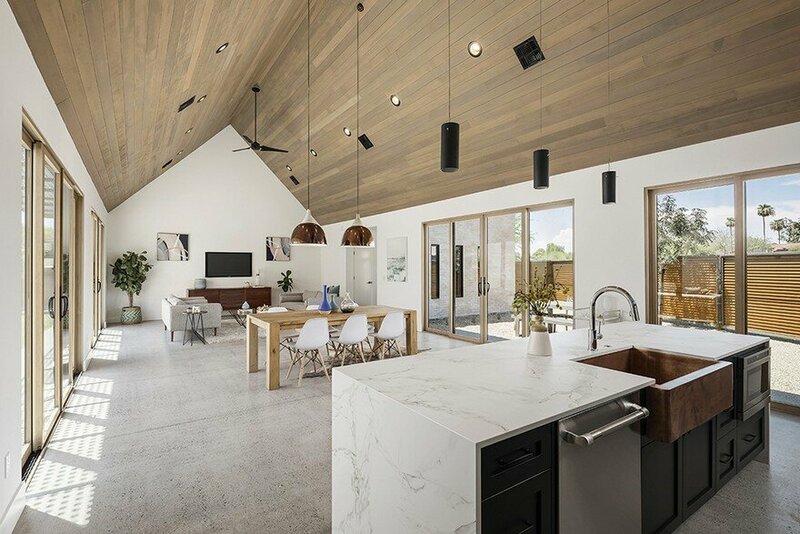 The kitchen is highlighted by super durable Dekton countertops, hand-made Fireclay ceramic tile in a herringbone pattern, and a copper farmhouse sink. 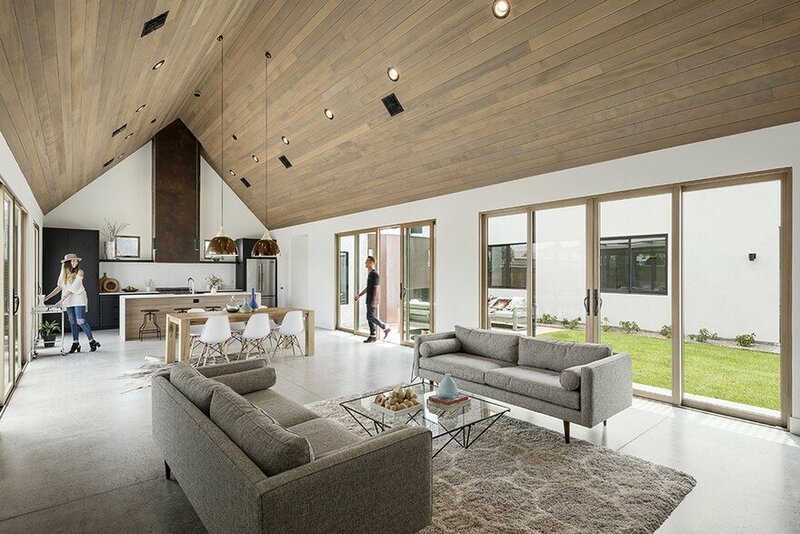 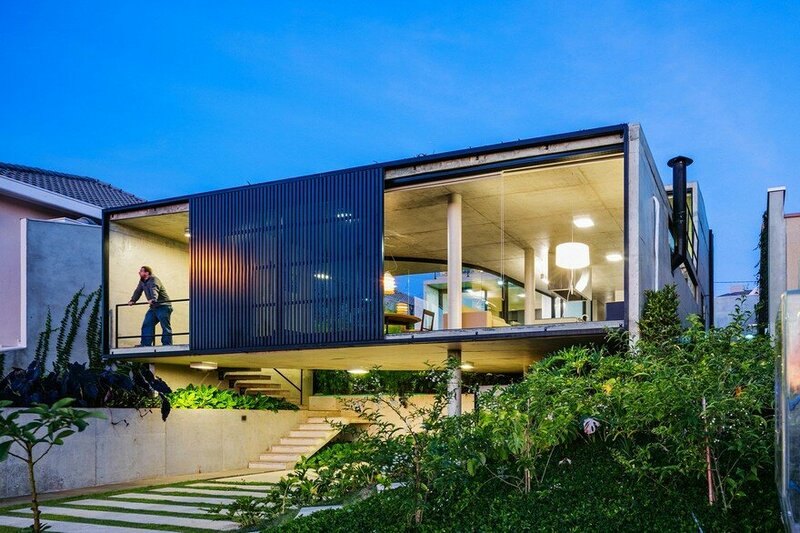 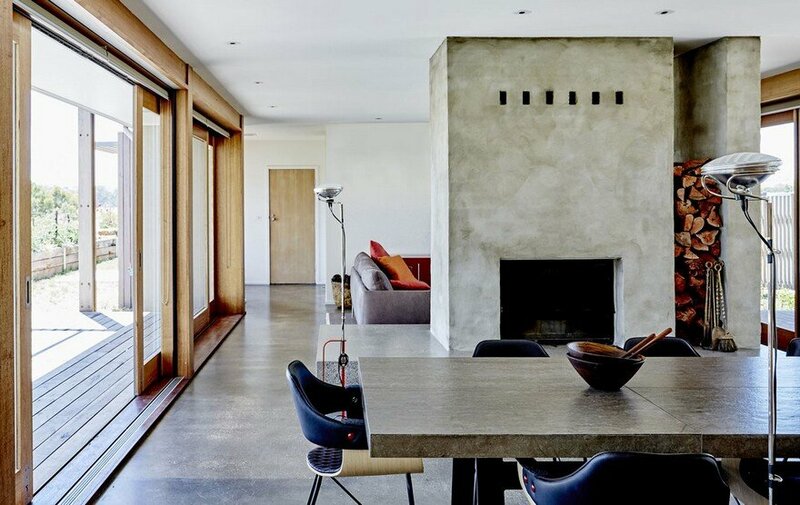 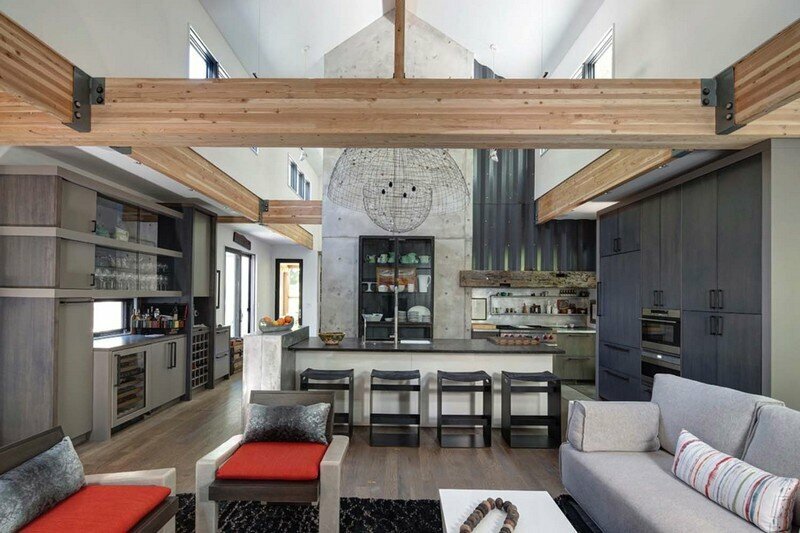 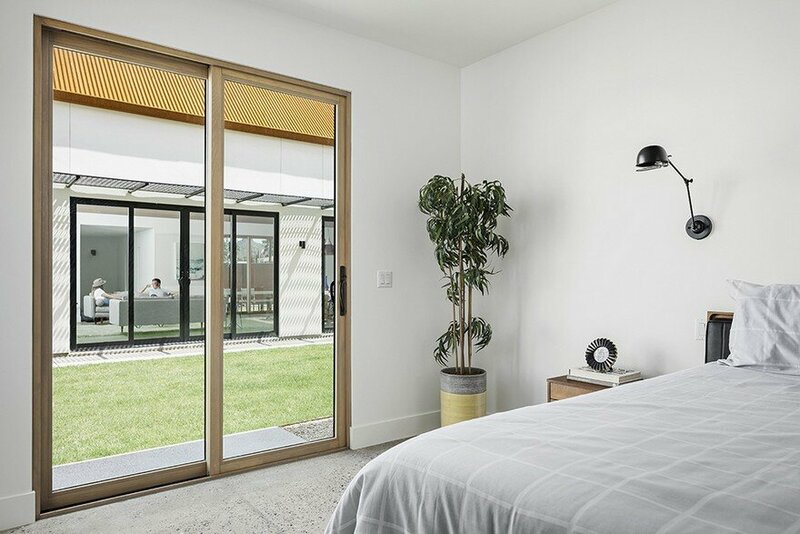 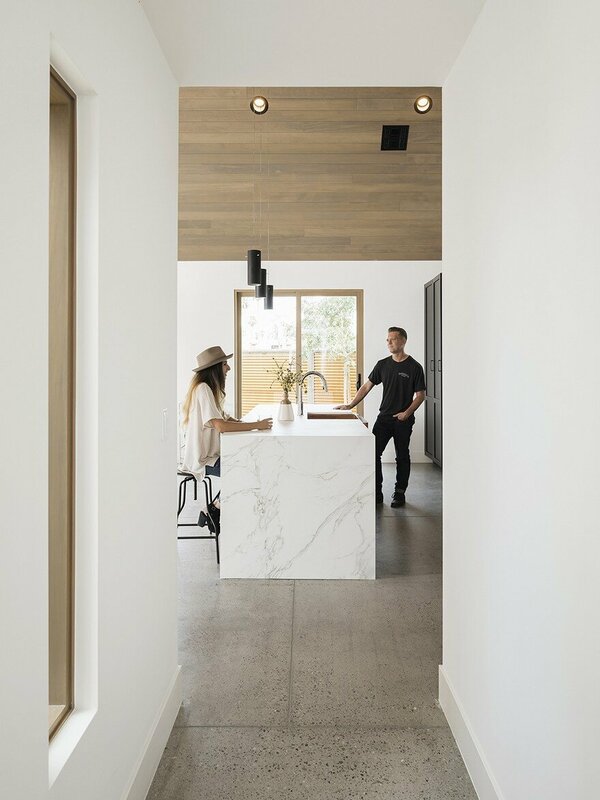 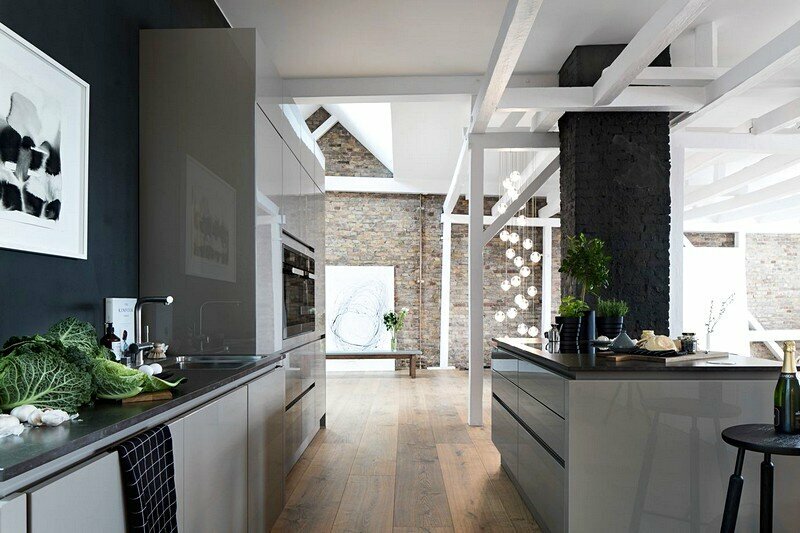 Aluminum clad, wood doors and exposed aggregated concrete floors add texture and warmth to the interior. 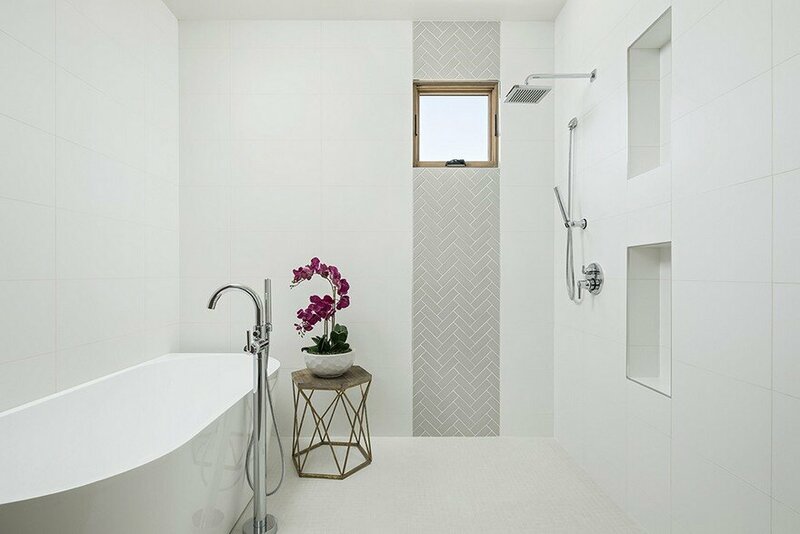 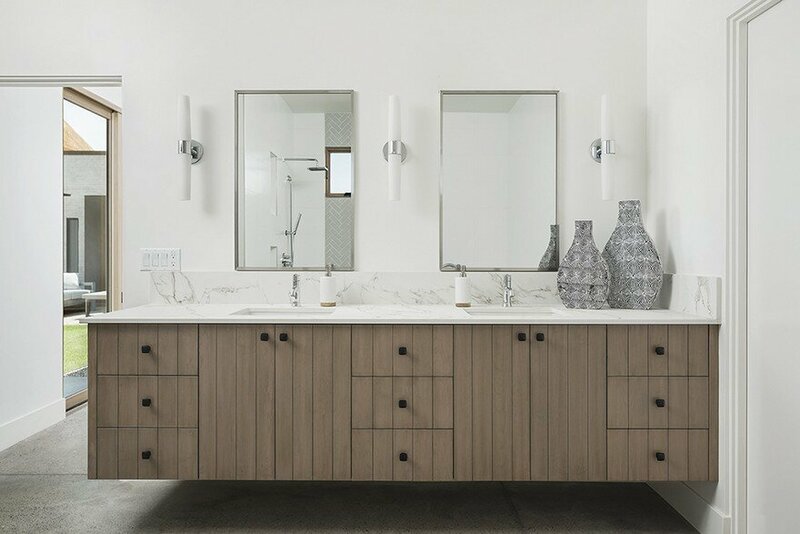 The master bathroom contains an open shower with a freestanding tub and is finished with a stripe of the hand-made ceramic tile and cabinetry echoing the vaulted ceiling of the great room.